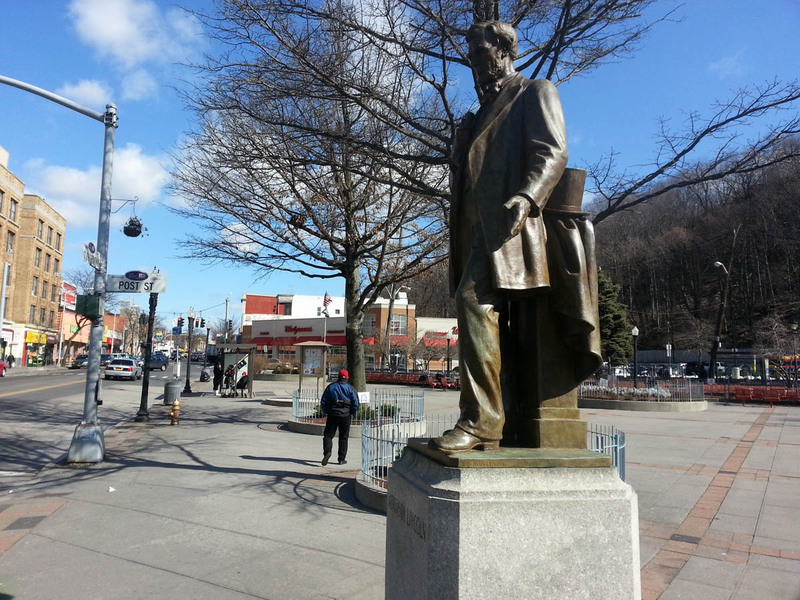 In this trial walk for the Ed Walks campaign, Our Correspondent experiences many adventures in Yonkers City Hall, walks along the Hudson, rues upon Washington Irving, and eludes the authorities at Sleepy Hollow Cemetery. The Broadway Bridge rumbled hard with tardy cars hoping to beat that dreaded moment when the lift raised for a big boat hauling cargo across the Harlem River, tying up traffic into a time-consuming knot that no sailor could unravel at gunpoint. On the whole, this was a reasonable bridge, agreeable and unassuming, not unlike a workmanlike band following an act that bombed spectacularly on stage. You couldn’t help but like the Broadway Bridge after all the barbed wire coils and the industrial grit that came before. But I think I may have loved the bridge simply because I crossed it on foot. I pointed to the Gold Mine Cafe’s charms, which suggested new fun in the making. I saw the geese after I saw the coyote statue atop a rock and the slowly thawing ice rink that needed to be deliquesced out of its misery. I saw the geese after shuffling around a memorial lawn with its grave markers parked low to the grass and American flags shooting out of the soil. 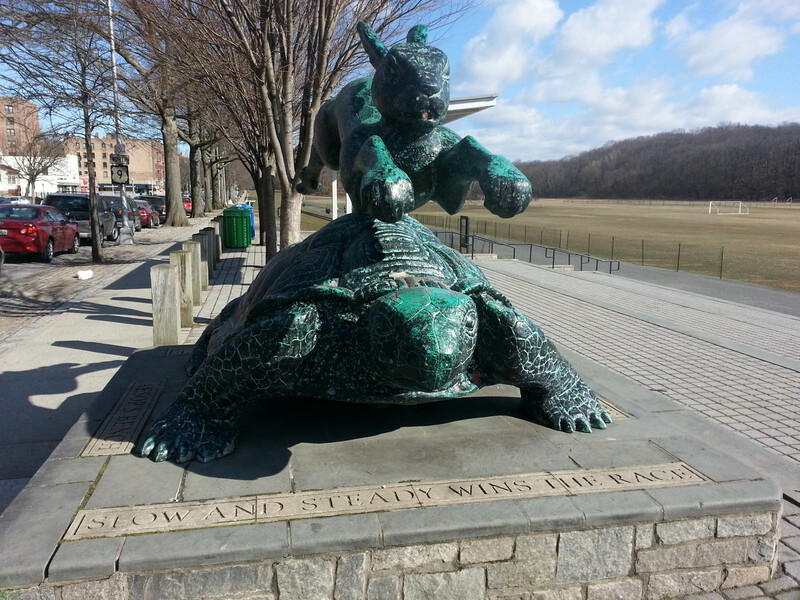 I saw the geese wandering near the Van Cortlandt Park baseball diamond, not far from the big track that still attracted stubborn joggers in the morning chill, and I attempted an interview. I spent more minutes than I care to admit slowly advancing on the icy lawn, hoping that the geese might view me as more peaceful and more inquisitive than the average human. But the geese had seen humans pull this parlor trick many times before. They squawked and they sprinted in that gangly manner that only geese can and they fluttered into the air when I pursued them beyond the specified maximum distance established by the Human-Geese Accord of 1872. The geese did not wish to answer my inquiries concerning income inequality or human-animal relations or Katy Perry’s sartorial style. Still, I was having a good deal of fun coaxing the geese to talk with me. I opted to leave them alone and file an interview request with their publicists. I did not know that there was a bigger interview ahead in Yonkers. The idea came when I walked into Yonkers and saw Mayor Mike Spano’s name on the city limits sign. I had never been in Yonkers before. Perhaps Mayor Spano would talk with me. I had not known that Mayor Spano had just delivered the State of the City address. In fact, I knew nothing about Yonkers politics at all. I decided to hit City Hall. I didn’t anticipate that Yonkers City Hall would be a fairly imposing Italianate edifice built in 1908 and situated on a rather high hill. This did not stop me. I walked to the side entrance and told the amicable guard that I was going to the Mayor’s Office. He seemed to believe that I knew what I was doing and directed me to the second floor. I went to the Mayor’s Office and talked with a friendly woman named Francesca. The Mayor was in Albany. I asked if there was anybody else who would talk with me, but apparently all communications people were locked in an implacable meeting. It was so quiet behind Francesca that I began to wonder if city officials were playing a long game of Spin the Bottle, perhaps over coffee and cake. I asked Francesca if she would talk with me and she said that she wasn’t authorized to do so. But she was very nice about it. It then occurred to me that Yonkers City Hall had other floors and, quite possibly, more movers and shakers who might talk with me. Since I had gone to the trouble of walking up the rather high hill, it seemed eminently reasonable to bag the Munro. There were a few fun-filled conversations inside the Public Works Department and the Department of Engineering, although I quickly learned that Yonkers City Hall acoustics share certain qualities with an invisibility cloak. The doors throughout the building are sturdy and loud when opened. Every lawmaker and aide knows the precise moment someone enters an office. I entered one room in search of a Yonkers booster and was alarmed to hear a man reply from his office just after I chatted with several good-natured people craning their heads out of cubicles. He had heard the whole exchange. I wondered if the man was preparing for some inevitable moment when he would overhear some vital gossip that would pull him from his chamber and into some position where he would spend the rest of his days laughing as hard as Emil Jannings. 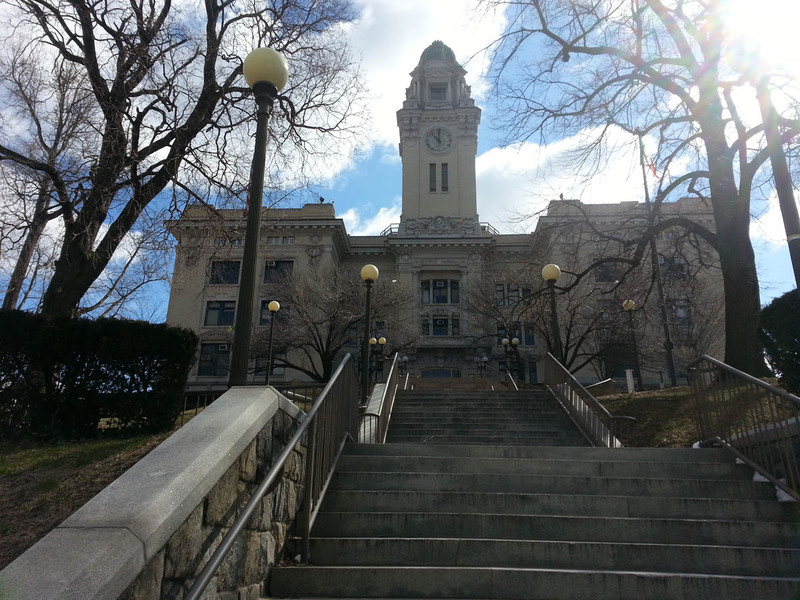 Nearly everyone in Yonkers City Hall was kind and courteous. Maybe I was stunned because, living in New York City, I’m accustomed to city employees who give you the look of someone who wants to rip out your heart with gelid hands and watch you die. It’s also possible that city employees don’t often receive visitors or interview requests quite like this. Whatever the reason, all this bonhomie led me to believe that I could talk with someone on the City Council. My journey started at one wing of the fourth floor, where administrative types were answering telephones and sealing envelopes and trying to hold the majority leader — a man named Wilson A. Terrero — to his hectic schedule. Nerissa Peña, Chief of Staff of the Yonkers City Council, was very helpful in seeking five minutes with Terrero, who was at the tail end of a vivacious meeting with two businessmen. I thanked Nerissa and told her that I would return, once I had investigated the opposite wing. I walked to the other side of City Hall. Several people told me that there was a man named Chuck who liked to talk. Chuck was the Council President. All spoke fondly of his gregariousness. The three women working in his office. The communications guy, who name-checked Joshua Ferris’s The Unnamed when I told him about the walk. And I’m fairly certain that if I had loitered around City Hall after business hours, some wraith kicking around for decades would tell me that Chuck Lesnick is the man you need to spread the Yonkers gospel. It was suggested that I schedule an appointment, even though the four lovely people I talked with in Chuck’s office understood that these interviews were spontaneous. I returned to the other wing to see if I could catch Mr. Terrero just before he was splitting for Albany. As I chatted more with Nerissa about this drop-in prospect, a calm man in a near navy sweater and a fluted gray scarf draped around his neck in a tidy coil passed along some papers for her and, eyeing the recording unit dangling across my chest with its concomitant microphone, said hello. This was Terrero himself! We came up with a plan to wait for Terrero to finish up with the two businessmen. Then I’d talk with him for five minutes before he made the two hour drive upstate. I settled into a chair and watched the world of Yonkers politics whirl around me. The walls were white and mostly unadorned: the vagaries of city politics ensured that nobody stuck around long enough to hang a Matisse print. But Terrero had tacked his diplomas and his certificates on the wall so that any curious soul sifting through the door knew who she was dealing with. There was a Dominican flag perched behind a manilla folder and neatly arranged photos of the majority leader on a dark brown credenza: the thickest gold frame featuring Terrero in uniform, but all photos showing Terrero sharp and smooth and poised and prepared. I began to understand why he was the majority leader. I asked Nerissa if Terrero relied almost entirely on her to keep the schedule running on time. “Yesssssssssss!!!! !” she said, the stage whisper of someone who appreciated a sharp observation. The clock above the door pushed closer to noon. This was now getting tight for me, especially since I still had fourteen miles to hike that day to Sleepy Hollow. So I asked Nerissa if she could chat with a few minutes. Nerissa came to City Hall four years ago on the day Terrero was elected. She told me that there’s never a dull moment in City Hall. I asked Nerissa if she had any political aspirations. “Not at the moment,” she replied, which I noted was a very political answer. Nerissa was a big fan of Tinker Bell. There was a small statuette of the famed fairy on her desk. Two interns had made a sign just before their stint was up, calling Nerissa “the best supervisor an intern could ever come across” in rainbow lettering, with Tinker Bell waving her wand in the top right corner. These days, Nerissa was sprinkling vital pixie dust for the Yonkers constituents. She said the job could get very busy, but she enjoyed the opportunity to help other people. Shortly before the stroke of twelve, Terrero emerged from his office and, upon saying goodbye to the two businessmen, turned to me without missing a beat. As we sauntered slowly down the stairs, Terrero told me that while his job was technically part-time, he worked full-time to serve the community. Despite the fact that 35% of the Yonkers population is Latino, the city had been slow in electing Latinos to the City Council. This was one of the reasons why Terrero had decided to run. Last year, Terrero became the first Latino City Council Majority Leader in Yonkers. It was an unanimous vote and it’s easy to see why. Despite all the meetings (four that day) and the community events that take up Terrero’s busy calendar, he has a calm and easygoing manner. And when we hit the ground floor, many city workers clapped his shoulder with affection on their way out to lunch. Terrero has developed this quiet patience that allows him to speak with all types of people, regardless of education and background. When I asked Terrero about the greatest nightmare he’s ever faced in his political career, he told me that he loves the job so much that the excitement of a tough vote overshadows the difficulty. He’s more interested in making things happen. His day begins at eight in the morning, when Terrero exercises and showers and prepares himself for the long day. He is a former baseball player. So he’s had some practice at this. City Council meetings can stretch into the dead of Tuesday night and often across the rest of the week. And when your time is devoured by talks and votes, you need every bit of energy you can to keep the flame alive. I had spent more time in Yonkers than planned and there was still the matter of lunch. I walked north on Warburton Avenue, which ran along the river and the rails. I passed schools and churches and houses increasingly labeled “private.” I passed riverside dog runs and attracted barks from playful canines. 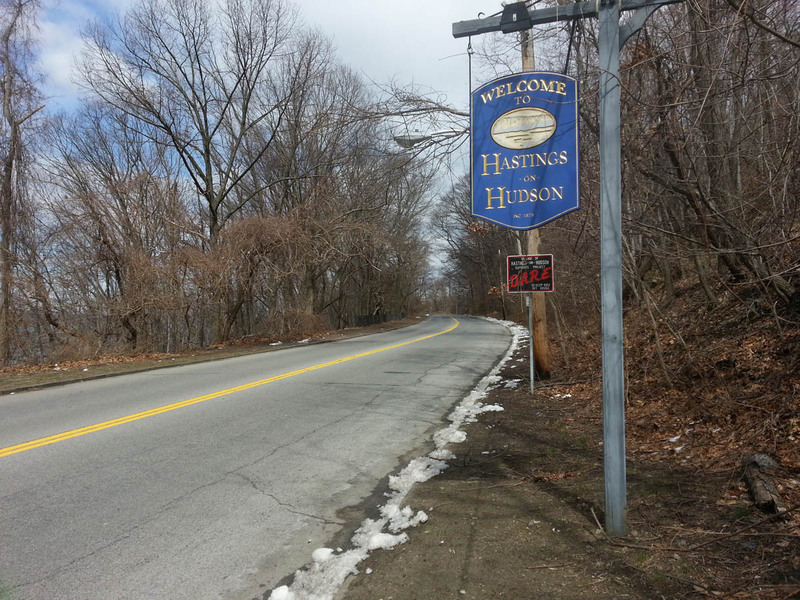 The plan was to stop at Hastings-on-Hudson and grab something to eat there. But I became so caught up in my walking rhythm, taking in the beautiful quietude of creeks burbling into the Hudson and the wind lapping at the surviving vegetation, that I overshot Hastings entirely and ended up in a village called Dobbs Ferry. I settled into a booth at Doubleday’s, the kind of place where a man in late middle age sits at a bar and orders a lemonade and vodka at 2:00 in the afternoon. There were many TVs blaring sports, with a slight echolalia among sets televising the same feed. None of this stopped the talk from flowing like a loose tap. This expansive establishment was arranged like a triptych: a restaurant to the south, the bar forming the central hub, and an open room to the north for overflow on busy nights. There was talk of football pools and objects flying up from the road and scratching the insides of eyes. This was a place where you could melt away hours of your life and not even know it. 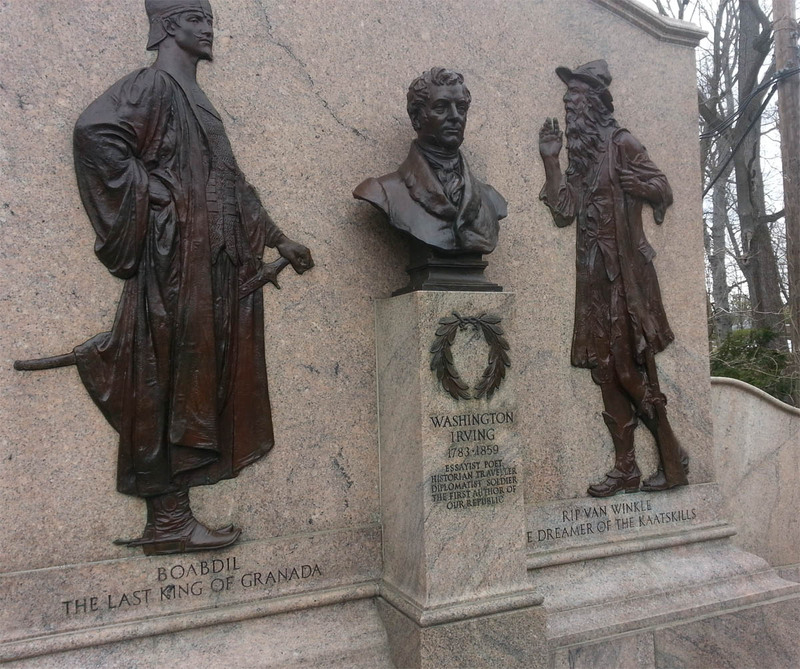 I would have stayed if I did not have an appointment with Washington Irving. I had only a few hours left of daylight and six miles left before Sleepy Hollow. One of the big surprises was running into Villa Lewaro, the home of Madam C.J. 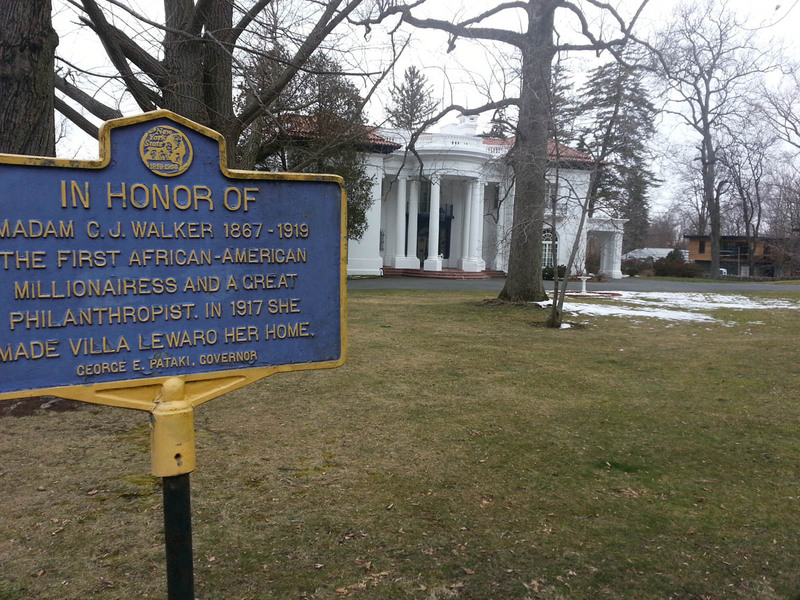 Walker, the first self-made African American millionaire. Madam Walker had made her mark with a sulfur-enhanced shampoo and donated considerable money to the YMCA and the NAACP. 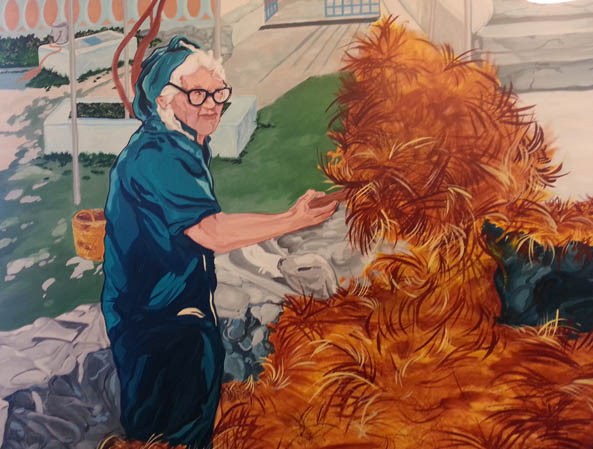 She even saved Anacostia, the home of Frederick Douglass. She lived in the house in 1917 and taught many other women to run their own businesses. 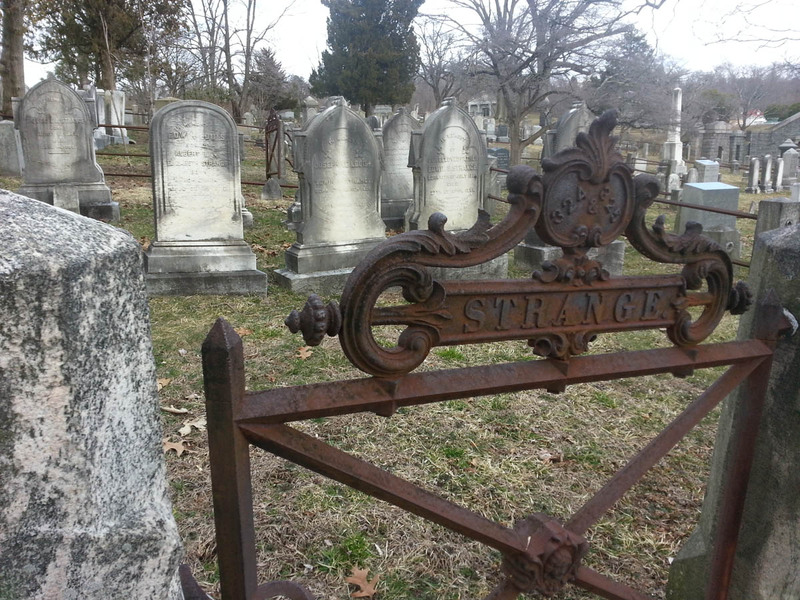 I knew Andrew Carnegie was buried in Sleepy Hollow Cemetery, which was where I was heading. Given my Indiegogo campaign, it was odd how my trial walk had me running into very charitable people. Maybe Carnegie could use a dramatic audio reading about steel. I considered hitting these two up for donations. But then I remembered that Walker and Carnegie were dead, which probably prohibited them from helping me. 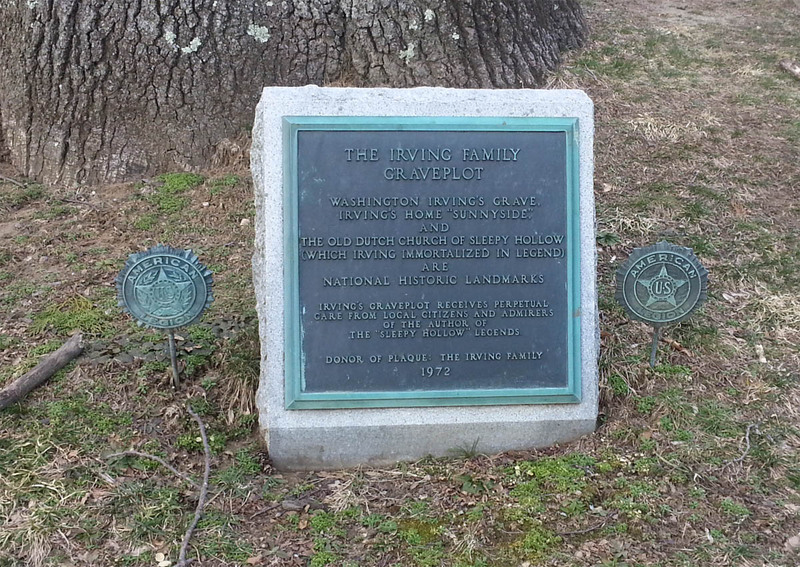 Not long after Villa Lewaro, I hit the Washington Irving Memorial on the edge of Tarrytown. There were increasing indicators that I was close to Sleepy Hollow. Washington Irving School. A housing project named after Washington Irving. Washington Irving appeared to have more places named after him in Tarrytown than Walt Whitman did in Brooklyn. I wondered if culture would be this kind to its literary figures fifty years from now. Would we see Joyce Carol Oates School or William Gass School? Or would tomorrow’s educational institutions be named after the likes of Brett Ratner or Sergey Brin? The gates were locked. 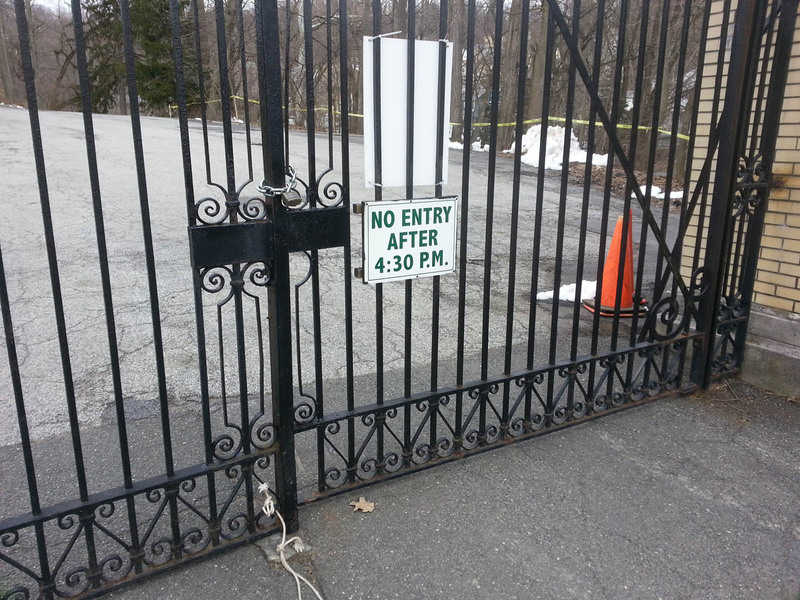 Sleepy Hollow Cemetery had closed only a half hour before I arrived. This was surely the most crushing setback I have ever experienced as a walker. I had walked so long and hard to get here. I had two choices: I could turn around and frown my sorrows into a beer or I could find a way in. You can probably guess the option I chose. I rationalized my decision by pointing out that I was no common trespasser. These were extenuating circumstances! 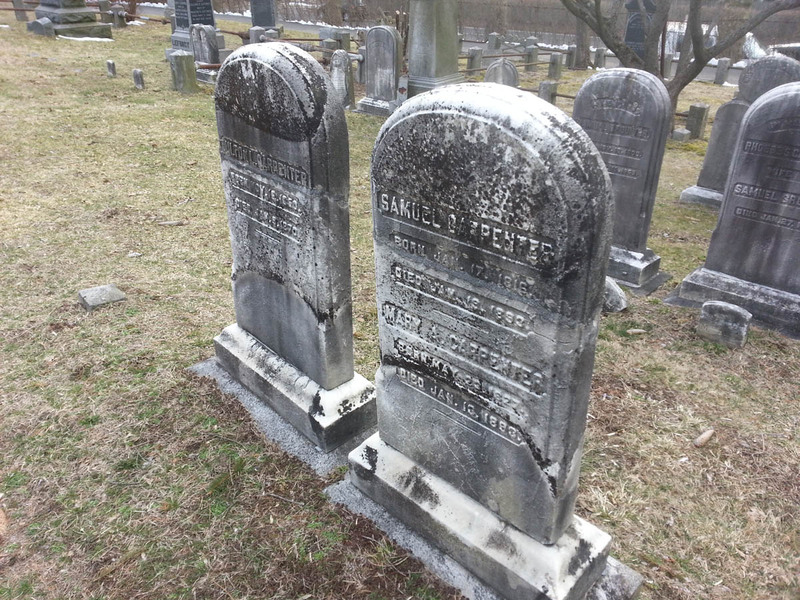 Nobody in American history has ever walked eighteen miles to check out a great cemetery. I found an open area and walked in. I was surrounded by numerous tombstones: glorious gray slabs with carefully carved names that had been eaten away by the elements over the centuries. There were families now long forgotten and many of the plots were quite strange. With the sun falling fast, I flailed around the graveyard, seeking Andrew Carnegie’s marker, but I couldn’t find it. I should note that I became so exuberant about this magnificent cemetery that I was live tweeting my finds, openly using the terms “Sleepy Hollow” and “Sleepy Hollow Cemetery.” I am almost certain that these announcements of modest interloping led to what happened next. In an effort to track down Carnegie’s grave, I tried searching online for a cemetery map with my phone. I was unsuccessful, but I did learn that physical maps existed close to the gates. I grabbed a map from the entrance, long after I had informed The Man on Twitter of my activities. Then I saw a white minivan roll up to the cemetery gates, with the driver making a move to unlock them. 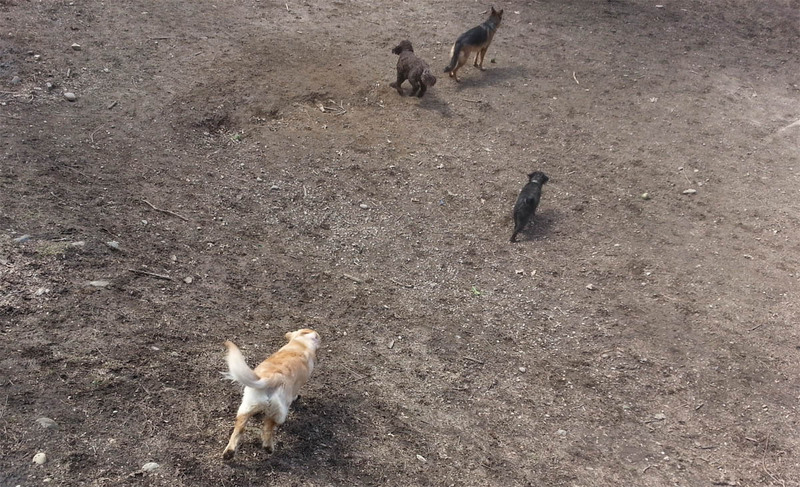 I decided to hightail it back to the way in. With the gate open, I saw the minivan roll slowly my way. 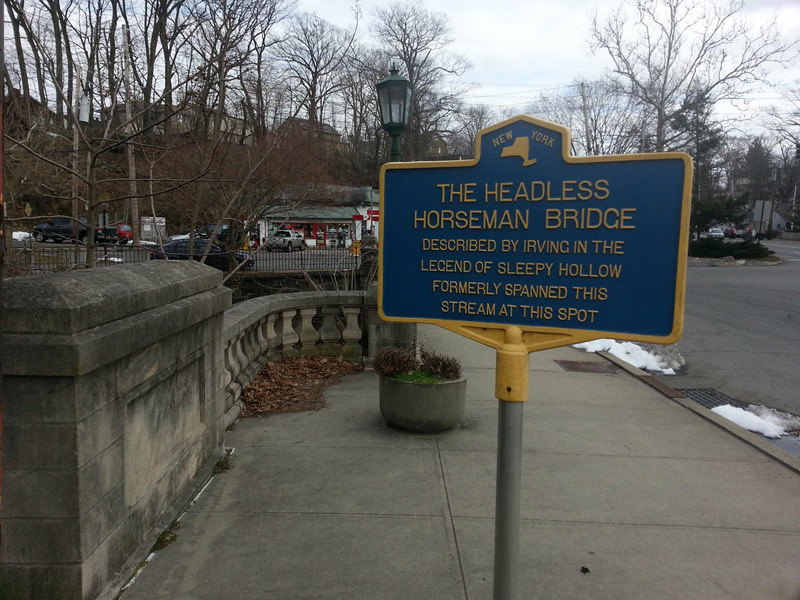 On my way back, I heard two loud siren blurts near the Headless Horseman Bridge. I knew that if I continued that way, I’d probably be grabbed by the cops. So I found a fence and I hopped over, landing into an unmaintained sidewalk. I heard another blurt from the police just south of me. So I walked across North Broadway and made my escape. My eighteen mile walk had ended in a modest chase. I had gone from the noble heights of Yonkers City Hall to the unanticipated lows of being on the lam. It was time to grab a beer.